Garry Shead Etchings – Nothing but the best will do. Garry Shead is one of the best artists in Australia, his etchings are second to none, each one is carefully checked before being titled and signed, and consistency and quality is the bench mark. 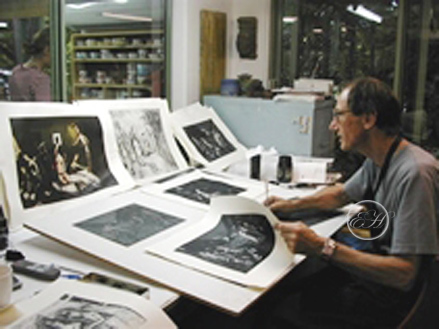 Garry Shead is renowned for some of the best original fine art etchings and prints in Australia. Etching House has the largest collection and range of Garry Shead etchings available.